A new study by a research agency has identified the globe’s ten best consulting firms for forensics and investigations. The list of top consultancies includes both generalists that have a leading investigations practice, as well as specialists that focus exclusively on topics such as corruption, bribery, fraud and other threats. When it comes to hiring the services of consultants, according to Global Investigations Review, a platform dedicated to the world’s investigations scene, consultancy buyers eyeing a global partner should look no further than ten consulting firms that lead the way in service and customer excellence. Based on extensive research, the researchers pinpointed 10 consulting firms deemed most capable of successfully handling sophisticated cross-border government-led and internal corporate investigations. 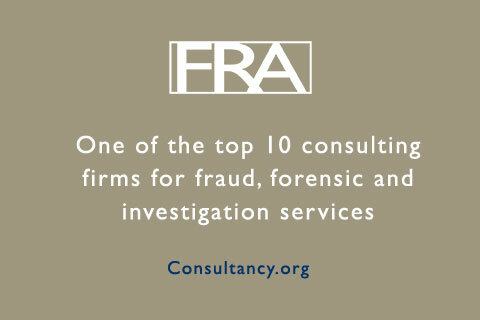 All ten consulting firms are assessed by the researchers to have both a broad and deep client offering, spanning the fields of Anti-Corruption, Compliance & Ethics, Cybersecurity, Data Analytics, Data Governance and Compliance, eDiscovery, Forensic Accounting, Financial Investigations, Trade Agreements and Independent Oversight.